Dr. Kristina Killgrove and Sandra Averhart discuss archaeology and anthropology. Dr. Kristina Killgrove, a researcher from the University of West Florida, is preparing for the trip of a lifetime. 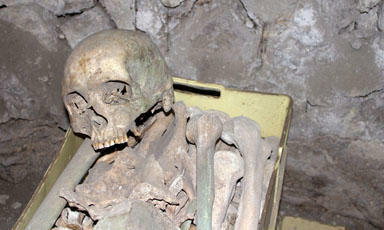 She’s heading to Italy soon to study skeletal remains of victims of the 79 A.D. Mount Vesuvius volcano eruption. Killgrove is a biological anthropologist and assistant professor in UWF’s Anthropology Department. 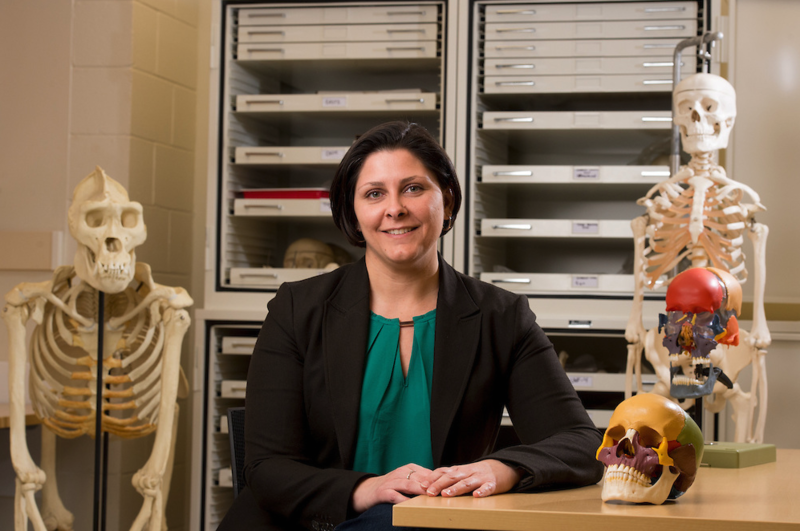 Her classes include Intro to Anthropology, Bioarchaeology, and Human Osteology. Killgrove’s fascination with bones and the human body began when she was very young, after she broke her arm at age seven. Growing up in Charlottesville near the University of Virginia, which she later attended, Killgrove read old used textbooks about the ancient Greeks and Romans; seeing images of skeletons surrounded by the many artifacts found in the graves. 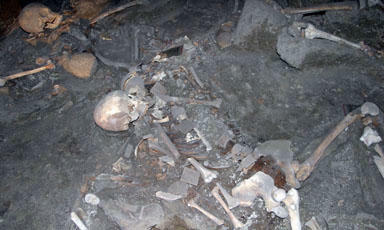 Specifically, Killgrove will be studying 54 skeletons from Oplontis near the wealthy seaside city of Pompeii, which was destroyed by the eruption of the volcano at Mt. Vesuvius in 79 AD. 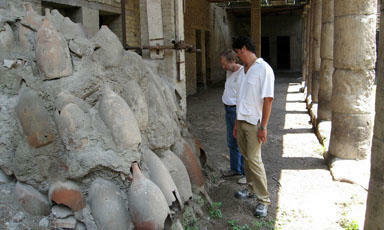 The skeletons were all in one room, believed to be the sea-facing wine market at Oplontis. Killgrove says that suggests the people there were likely waiting for rescue by sea, which was the only way to escape the destruction of Mt. Vesuvius. Killgrove says it’s thought that one of the individuals might have been the wine merchant. The ancient skeletons at Oplontis were discovered between 1984 and 1991, having been long buried beneath the modern town of Torre Annunziata. Of the 54 total, thirty-three of them already have been excavated, cleaned-and-consolidated, and stored in boxes. Their research this summer will focus primarily on the remaining 21 skeletons, which have been partially excavated, but remain in the exact spot where they died nearly 2,000 years ago. Over the six-week research period, Killgrove and her colleagues will create 3-D models and 3-D photogrammetry, which involves the use of photography to measure and map the site. While researchers already know that the people at Oplontis perished as a result of the volcano eruption, they’re hoping to determine exact cause of death. All 54 of the skeletons at Oplontis will be subject to osteological analysis, to determine demographic information such as age at death, whether male or female, and stature. Also, samples of their ribs and teeth will be brought back to the U.S. for biochemical analysis in an effort to determine such things as diet and where they were from. 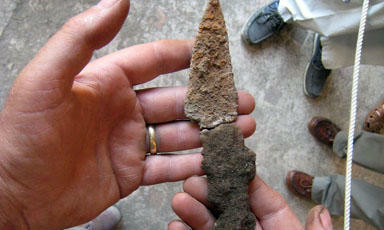 The goal is to create a small-scale environmental reconstruction of the 17-year period dating back from the 79 A.D. Mt. Vesuvius eruption to the first of two earthquakes in the region. Dr. Killgrove will take part in the research in Southern Italy from early July to mid-August. She has worked on other ancient Roman sites, but points out that nothing really compares to this assignment. 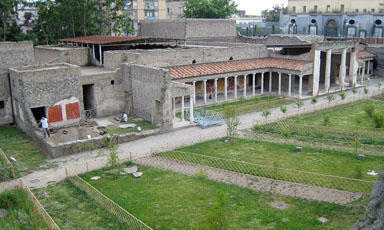 This research project in Oplontis is also a dream for Killgrove’s graduate assistant, who is making the trip with her. “We’re both giddy with excitement,” she said. While ancient Rome’s upper class is well-chronicled in history books, little is known about the swath of less well-to-do citizens who accounted for the bulk of the empire’s population. “People without history is often what we call them in anthropology,” said Dr. Kristina Killgrove, assistant professor of anthropology at the University of West Florida. As technology evolves, so do cybersecurity threats. 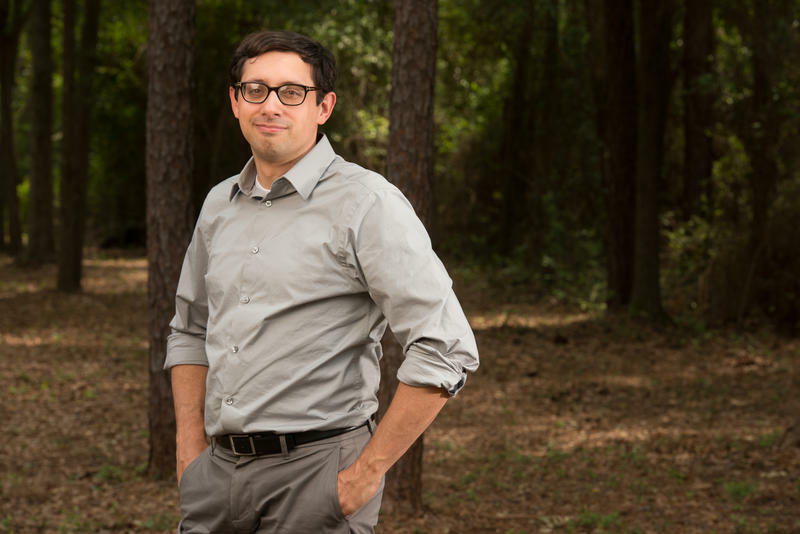 Dr. Jacob Shively, assistant professor of government at the University of West Florida, recently received a GROW Institute grant from the UWF Office of Research and Sponsored Programs to begin to look at the implications of technology and security policy.